As longboarding is becoming an increasingly popular extreme sport, and rightfully so, there is a growing number of companies offering various longboards and accessories and one of the most popular ones is Sector 9 longboards. Considering the fact that a single brand offers up to hundreds of choices, pinpointing the right longboard in this ocean of option can present quite a challenge. Naturally, every part that goes into a longboard is essential and should be chosen carefully keeping in mind the production quality. But how can the quality of a longboard be determined? Well, one sure way to purchase worthwhile gear is to pick a trustworthy company that highlights the importance of traditions and excellence. One of those companies, without a doubt, is Sector 9. Even though longboarding is a relatively young sport, unlike most brands Sector 9 has been around for more than two decades and has earned the trust and respect of skaters around the world. The company was established in 1993 with a true adventurous, Californian spirit. It all started in La Jolla, California, with a bunch of skating fanatics who lived for the rush that only the board can produce. At first, their love for the sport inspired them to upgrade their own boards and the result was amazing. In no time, the small backyard production turned into a bustling, successful business and today, after more than 20 years, these boards are some of the best in the market. Sector 9 offers a wide variety of ocean-inspired longboards, for both professionals and riders with newly found passion for longboarding. 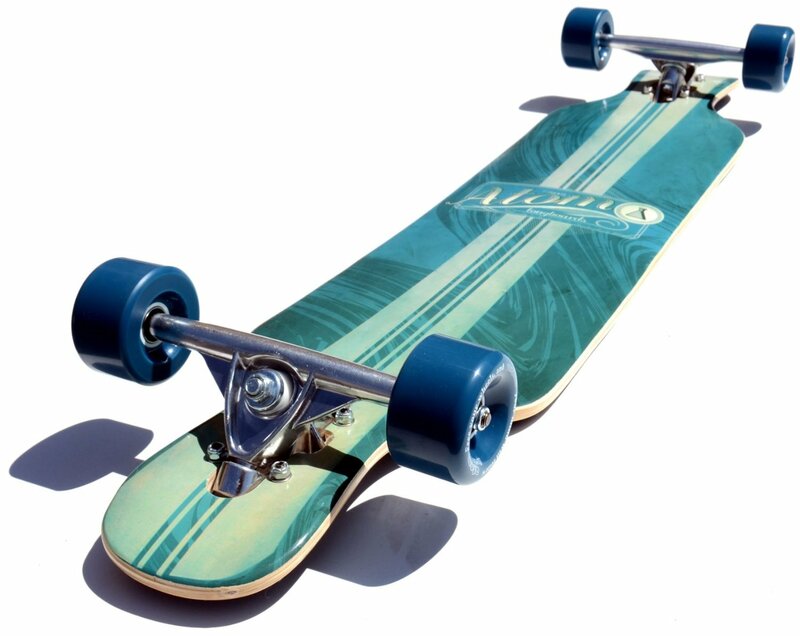 Even though they offer components separately, their complete longboards are a dream come true for many skaters. Among the many options that the brand has to offer, it is always best to choose the one that suits the individual skater’s riding discipline and style. However, there are a few extremely popular options that are definitely worth looking into. Those riders who feel they cannot be confined to just one style and would like to do both freeride tricks and leisurely cruising, will certainly appreciate the Mini Shaka. This board comes in different lengths and is constructed out of 8 ply cold-pressed maple, which makes it very sturdy and means it can take all kinds of obstacles. It has a small concave, so that the skater’s feet stand firmly on the board no matter what and a kicktail which is very helpful for tricks. 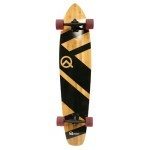 The shape of the board and the trucks is also very good for slides and eliminates any possibility of wheel-bite. Skaters with an everlasting itch for speed and excitement, will enjoy the Tiffany Downhill Division deck. It is 37 inches long and very thick, with no flex at all, to ensure stability and extra control even in the sharpest of turns, no matter how high the speed. The board also forms a “pocket” so that the rider’s foot can be stably locked down while bombing those steep hills. Those skaters looking for the ultimate cruising and carving board will find the Sandblaster to be absolutely perfect. With the 35 or 41 inches of fiberglass and maple, this board is ideal for both newbies and pros. The full dropthrough makes it really easy to push and the mild flexibility guarantees a super fun ride. 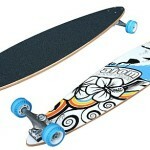 In addition, the small concave on the deck ensures great stability on deep turns. Even though these are some of the most widely-used Sector 9 longboards, the company offers an amazing variety and has the right fit for pretty much all disciplines and styles. Its history and traditions are a real guarantee for quality, not to mention the added appeal of the founders starting off as any other street skater.